A low-percentage shot that's great for running up your lead earlier in the game if it's falling. Still requires defense to maintain lead. A low-percentage shot the becomes mandatory when you must score 3 points to tie at the very end of a game. A still-low-percentage shot that maybe should be reconsidered in favor of higher-percentage scoring opportunities when you ABSOLUTELY must score ANY points...such as when you're losing with little time left in a game. Exceptions that have free reign to shoot threes in any circumstance as they so choose: Steph Curry. I'm so sick of the stupid people who celebrate victories before the matches are over. SO SICK! Terrible shot by Harden. He could've driven to the rim. Yep. We were down by one point, he dribbled out the clock and took a three with a guy on his face. Why didn't he drive? We needed only two points to take the lead. cbs1507, Vivi and B-Bob like this. 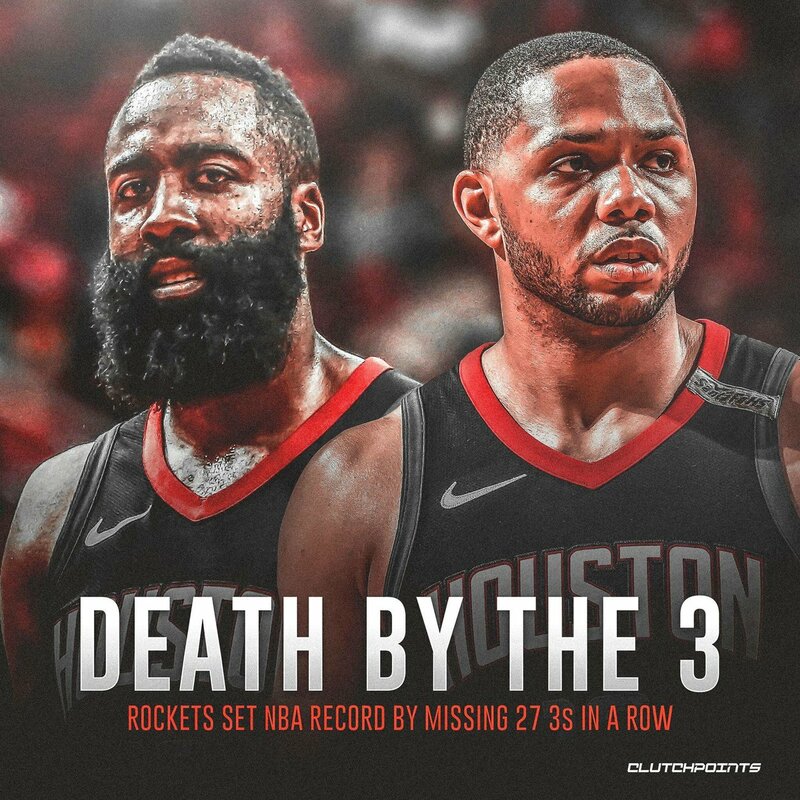 Live by the three, die by the three. cheke64, Severe Rockets Fan, hakeem94 and 1 other person like this. The last time I tried to criticize Harden for his late-game execution I got shat on by the boards. His decision-making in the clutch is poor. Period. It's why he has the reputation of being a playoff underperformer. He hits tough shots throughout the game, but fadeaway 28 footers with a defender in your face at the end of the shotclock can only take you so far. Especially when you are up by 2 and you just need to keep your lead. This is what Kobe meant, you can just defend us very easily and shots come off of the dribble, rarely from moving ‘behind’ the defense. It’s why our style is atrocious to watch and I don’t feel MDA is that special as a coach. Then again, Harden really moving off the ball to get a shot is just not going to happen. hakeem94 and BasketMAD like this. This game was not Hardens fault. Lots of blown buckets at the hoop for Faried. Lots of missed open 3s for the entire team. Not mad about it. fckbandwagons and TRIQSTER like this. Harden's over reliance on step back 3s cost us this game with OKC. He was settling when he could've drove to the basket or made a pull up in the paint instead. And im sick od late game isos... why not try to move the ball alittle bit? Harden shoots 50% on 2’s, 37% on 3’s. If we don’t need a 3 to win what’s the argument for the 3 in that situation? What’s the rational for taking a 13% worse shot? Dude is money on drives and the midrange, like others have mentioned, 3’s over the game, but for specific game wining situations Harden should drive. How come you specified 'late game' in the thread title? This is our offense for 48 minutes game after game. 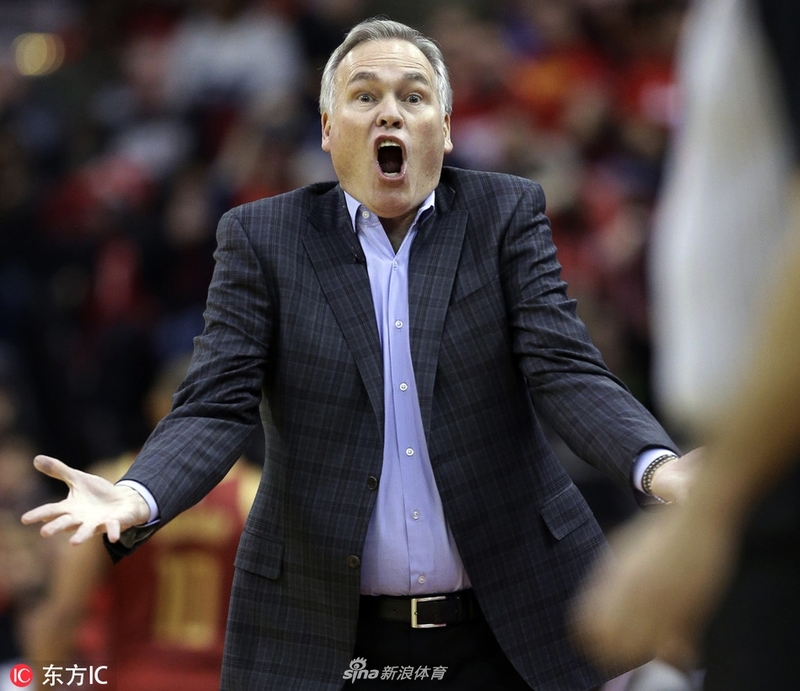 How people think D'Antoni is a competent coach is beyond me. Little Bit and Dopamine like this. His decision-making in the clutch is poor. Period. Whatever the best shot available should be taken. Harden has the ability to create the best shot whether it’s a 3, midrange or drive. But in the situation today I would of rathered he took a midrange or drive. His midrange is deadly and has iced many games in the past with that shot. Drives are more risky cause fouls aren’t called soo much, but his floater might of done the trick. It's not like they can turn into a ball moving club like GSW, Bucks, Denver just like that. At least Mike DA can't make them. You need constant movement without the ball. They are used to Harden, CP or Ego taking the most shots or creating for others. This was created as a top heavy, heavy ISO team. Dun know if that will ever change within this setup. Harden was fouled by Westbrook on his last 3pa. We would have won the game. OKC are one of the best teams in the West and we are fatigued, understaffed and missing a key starter. The fact that we were in the game that late shows it's a good effort. The problem is not our offense, it's the defense. Paul George scored 45 on 22 shots and we were almost child like making switches and rotating on defense. Right now we're among the worst, if no the worst, defensive teams in the league. It's irrational to pick a 1 minute window or just a few shots that suit your argument and claim that the entire strategy is wrong. 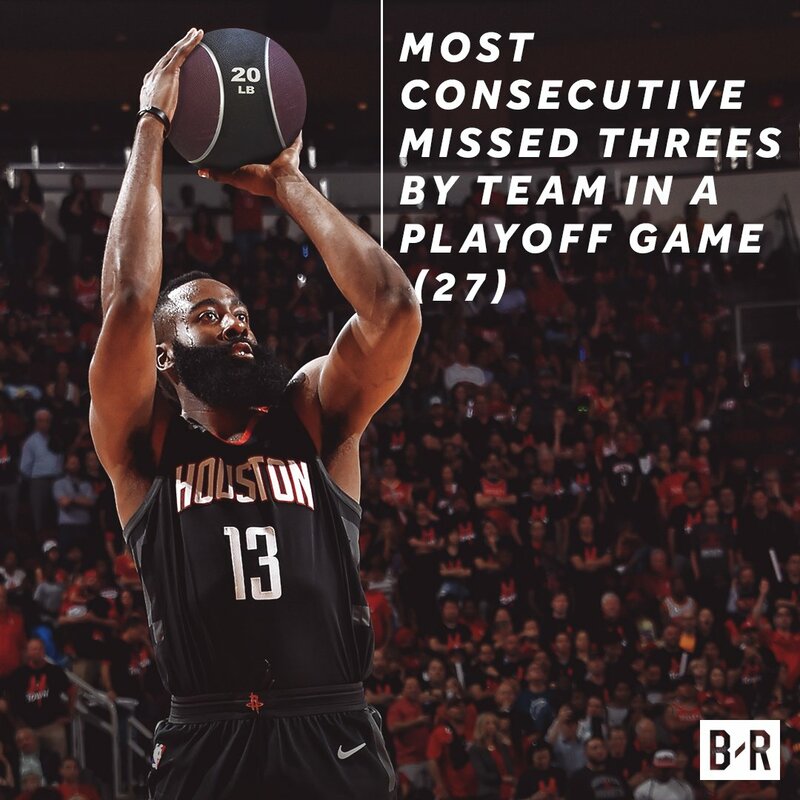 We are the #2 offense in the league and we have been missing our 2nd or 3rd best scorers for long stretches of the season - no other coach would be able to achieve that even with James Harden, it's absurd to question him on offense at this point. IvanLCPM, Roc Paint, hakeem94 and 1 other person like this.